Rev. 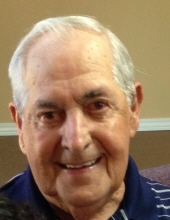 Fred Eugene VonMoss, Sr. of Quapaw, OK passed away Friday, May 13, 2016 at Eastar Health System in Muskogee, OK. He was 88. Fred was born August 9, 1927 in Cardin, OK to Albert and Elsie (Fessler) VonMoss, Sr. He had lived in the Cardin, Picher and Quapaw area all his life and had worked as a plant supervisor for Eagle – Picher for 45 years. He was a Southern Baptist Minister for over 50 years, serving at various local churches including Northeast Baptist Church in Miami and Spring River Indian Baptist Church in Quapaw, OK. He was a member of the Cardin Baptist Church. He and his wife Georgia celebrated over 70 years of marriage until she preceded him in death on August 7, 2015. He was also preceded by his parents, 2 brothers , Albert VonMoss and Edward VonMoss and a sister Freida Smith. Survivors include his children Fred VonMoss,Jr. and wife Marsha, Stella Jacobs and husband Larry, Brenda Jones and husband Steve, Shawn Taylor and wife Shannon and Damon VonMoss. He is also survived by his sister Velma Patton , 23 grandchildren, 32 great grandchildren and 6 great great grandchildren and numerous friends. Services are pending at this time and have been placed in the care of Paul Thomas Funeral Home and Cremation Service of Miami, OK.